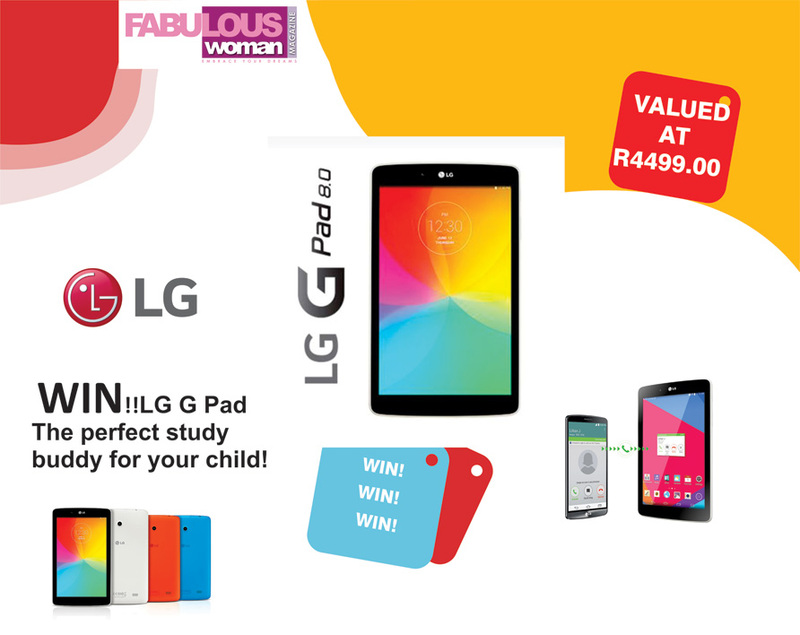 LG's G Pad 8.0 is now available in South Africa. With its immersive multimedia experience and smooth multitasking capabilities, the G Pad is the perfect study buddy for your child. Its rounded edges are specifically designed to be held comfortably with one hand and fits into small spaces easily. The G Pad 8.0 sports an eight inch screen with True IPS HD display, which means colours are as true to life as possible. It has a large internal memory with the option of expanding it with up to 32GB with an external SD card so that you can store your child's textbooks and other learning material on it. The G Pad is light and compact enough to fit into school bags or your handbag so that it's effortlessly carried wherever you need it without taking up much space. The large memory combined with the True IPS HD display makes studying a breeze. No entries will be accepted after Friday, 06 February 2015. The draw will take place on Tuesday, 10 February 2015. By entering into the competition you agree to the terms and conditions of the competition. This competition is promoted by Bonisa Media ("Bonisa Media"). By entering the competition you agree to the rules of this competition. There are no entry fees to participate in this competition.